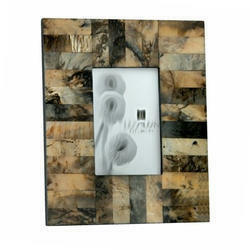 Being a customer-oriented enterprise, we are engaged in providing a wide array of Resin Photo Frame. 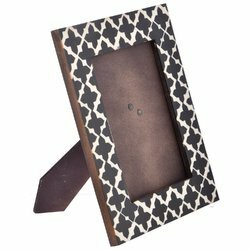 Why we love this black white bone picture frame is breathtaking in a lining design. This gorgeous accent is ready for a life on display, anywhere in your gracious home. nice design and durable quality. This Photo Frame is made of Resin with different texture . 100% Genuine.Dimensions/size Available:-6x4 inches, 7x5 inches, 8x6 inches, 9x7 inches, 10x8 inches, 12x8 inches (12x8 is a common photographic print size) 12x10 inches, 14x10 inches, 14x11 inches, 16x12 inches, 20x16 inches, 20x24 inches, 30x20, 30x24 inches. home decor picture frame luxury style wedding gift. This photo frame made in resin. Our company is engaged in providing a wide range of superior quality Resin Photo Frame to our valuable clients. Available in unique and fascinating colors like off-white and dull turquoise blue, these photo frames add a classy look to your beloved memories. Designed to meet the requirements of global masses, these frames make for a perfect choice to gift your near and dear ones. We procure a gamut of attractive Resin Photo Frame available in a variety of shapes and sizes. Decorated with supreme quality shells and resins, these photo frames can be customized as desired by the customers. Based on latest technology, these photo frames are delivered to our global clients within stipulated time so as to satisfy their needs and requirements. High qyality resin photo frame.